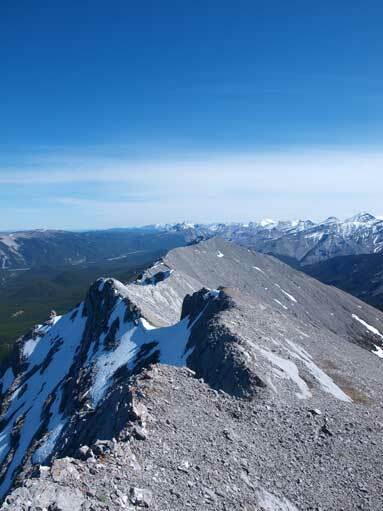 Nihahi Ridge is an “easy scramble” well documented in Alan Kane’s Scrambles in the Canadian Rockies. It’s one of those peaks that form the “first row of wall” when looking from the prairie. 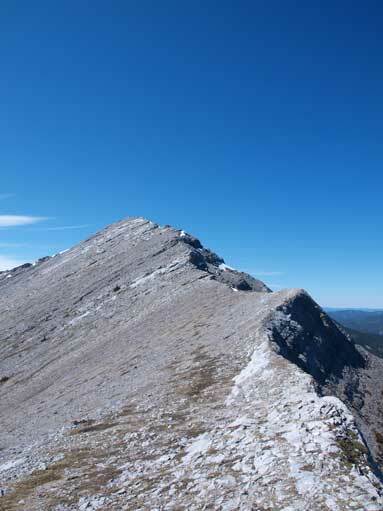 The standard scramble route is via a long ridge traverse from the south end and many folks do not venture to the true summit. 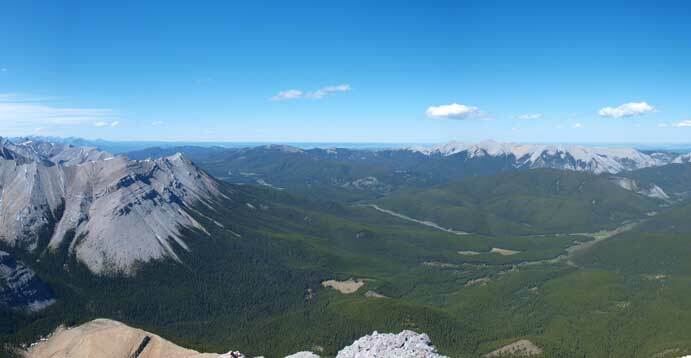 The true summit itself can be tagged fairly easily from Powderface Trail and peak-baggers often combine it with a traverse of the nearby Compression Ridge. I was feeling more adventurous and managed to also squeeze the nearby Mt. Fullerton into the loop. Once getting down from Mt. 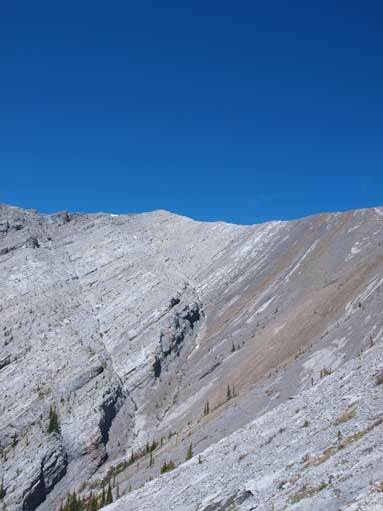 Fullerton, I chose the gully directly across Nihahi Creek to ascend. Surprisingly, the scree/rock was very firm. This was very good for Ascending. Considering the steepness, it wouldn’t be pleasant to descend though. 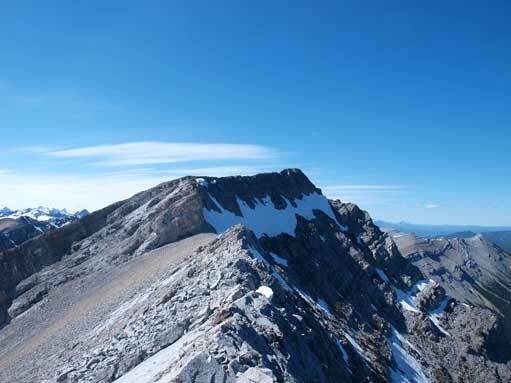 I speeded up and it took me 50min from the Nihahi Creek to the ridge crest of Nihahi Ridge. Checking the map, there’s still lots of ground to cover to reach the north end of Nihahi Ridge. There’s not much to say about this part. 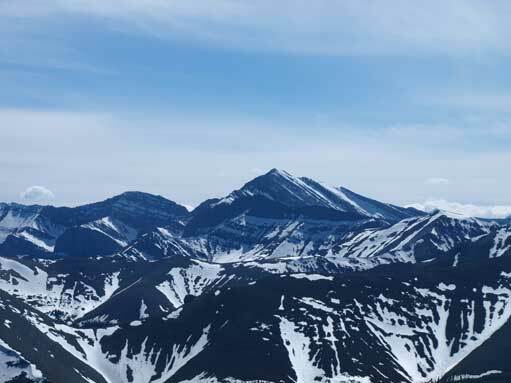 Just simply follow the ridge crest, over at least 3 false summits, each of those involves about 50m elevation gain and loss. Just before the summit, there’s one avoidable moderate move. At the top, I quickly signed the register. And now, I had to make an important decision (one of five possible). 1. Descending back along the ridge to Little Elbow trail. It’s the shortest, but to some reason, I didn’t like it. 2. Descending to Nihahi / Compression col, then descend the west slope to Nihahi Creek. This involves even longer tedious creek bed walk..
3. 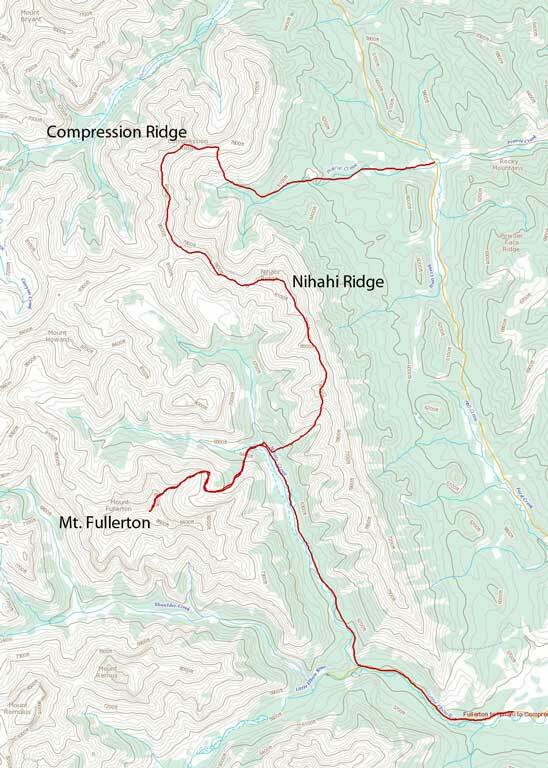 Descending to Nihahi / Compression col, then descend the NE slope, followed by bushwhacking to Powderface Trail. Walk back to car. 4. Ascending partway up Compression Ridge, then traverse to Mount Howard, then descend Howard via Canyon Creek to Powderface Trail. This way, I had to use head lamp for a good portion of the trip. 5. Traverse up Compression Ridge until 2nd window, then descending the south slope followed by bushwhacking to Powderface Trail. 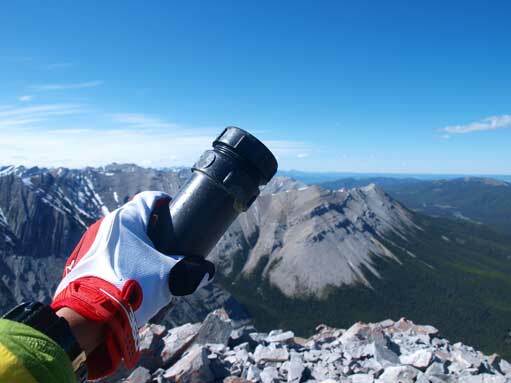 This is shorter than option 4 but involves difficult scrambles and I still need to use head lamp for about 2 hours. After a bit of debating, I tend to go for option 3, 4, 5, so I would make the final decision at Nihahi/Compression col. And here we go!